1-800-933-2907 info@waterwellplus.comLicense # 997016 | C57-well drilling | C36 - plumbing. Water Well Drilling and Pump Services, Oil & Gas Well Services, Engineering and Heavy Civil Construction in all Western States. 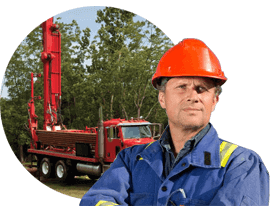 Water Well Drilling and Pump Services in California. Call today for a site evaluation estimate. We are fully licensed, bonded and insured. This team has performed many varied and challenging projects to date, from extensive agricultural well placement with high output GPM requirements to residential limited access projects for single homes, from shopping center parking lot jobs in Southern California with multiple monitoring wells, to wells in high profile environmental conditions and prairie jobs with extreme fire hazard potential. Each time these men performed their work with safety and integrity completing each job to the level requested without fail. Because of the diversity of our rigs operational capability this team has performed a number of very difficult projects; they know each other’s strengths and weaknesses and always work with the client’s best interest at heart. They all have extensive heavy duty top drive operating experience as drillers and know how to handle our rotary mud and reverse operations projects as well. Water Well Plus, Inc. is completely unencumbered allowing us to take on even the Largest of projects with comfort and stamina. Because of the diversity of our rigs operational capability this team has performed a number of very difficult projects; they know each other’s strengths and weaknesses and always work with the client’s best interest at heart. They all have extensive heavy duty top drive operating experience as drillers and know how to handle our rotary mud and reverse operations projects as well. Drilling over the years has become a high performance, technically advanced and challenging business, it is re defining the way many processes are carried out on an annual basis. Specified torque requirements on tools and tubulars are increasing, the speed and combination of tools needed to perform the tasks are changing and tool performance in general is increasing. Water Well Plus, Inc. has recognized the value of many of these changes and has tried to be proactive at equipping its drilling equipment with an arsenal of the latest and best tools, trained personnel, rig operating systems, transfer and handling equipment, providing our clients the confidence that the work will be carried out professionally and expediently. As we have been underway on our endeavor to be a top performing drilling service, we performed many hours of research, testing and trial runs to shorten our in the field learning curves. We spared no expense to provide the best top drive, the strongest pumps, the highest torque hydraulic tongs and to ensure that we perform at the required level of specifications. No other drilling company in California combines the drilling support services that Water Well Plus, Inc. provides. Our clients find ease in having all the site work from start to finish completed by one contractor. From the location building and conductor setting operations to the solids control management including centrifugal and de-silting operations and from water & vacuum services to final proper disposal of all generated waste up to and including the testing and temporary on or off site storage of solids and fluids. Water Well Plus, Inc. maintains a large staff of highly trained and fully certified welders operating at a hygienic and professional capacity with all the latest technology in a fully stocked, advanced and mechanized setting. A full line of vacuum trucks, roll off trucks, bins, tanks, hot oil trucks, solids control equipment and highly trained personnel are available for your operations and are fully auditable to the highest standard from a DOT, maintenance and operational standpoint. Our management and technical staff has highest level of expertise and decades of drilling, well service, construction and industry experience. 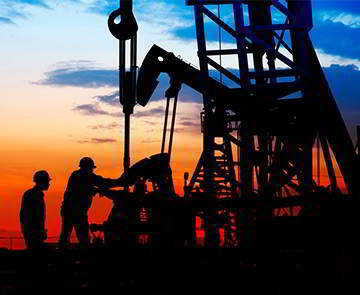 Our professional and experienced personnel designed and drilled everything from test holes and small diameter monitoring wells to high capacity production and injection wells for government agencies, oil wells, injection wells, well remediation’s and side tracks, golf courses and residential clients domestically and internationally. We have achieved great success working, on a variety of complex construction, remediation demolition, pipeline, cathodic protection and hazardous waste projects with clients directly as well as working with contractors to complete well and construction projects efficiently, on time and within budget. We offer 24 hours 7 days per week emergency service to make sure we are always available when you need us. When you use Water Well Plus we will make sure that the most reliable well service, well drilling and construction services are available. 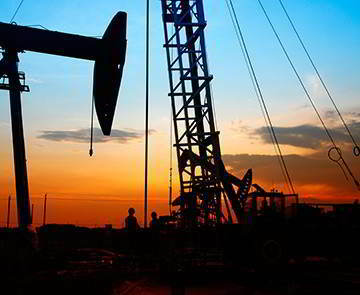 Water Well drilling, Oil well drilling and service, pumps, Engineering and well parts are what we specialize in. At Water Well Plus, we understand that quality well work is important to your life and business. Our goal is to provide you with well service that will deliver your well needs in as little time as possible. We offer 24 hours 7 days per week engineering, construction and emergency response service to make sure we are always available when you need us. Water Well Plus has the experience and expertise to handle all phases of well planning and drilling. We are experts at difficult site methodology, overburden, coring getting oil wells back in running condition after sitting idle or just great water well services, fully licensed, bonded and insured. We have an outstanding safety record and can meet all auditable requirements from Pre Work Planning (PWP) to Job Safety Analysis (JSA) and Meet and Greet policies. © 2019 Water Well Plus | All Rights Reserved 800-933-2907 License # 997016 | C57-well drilling | C36 - plumbing | Technola Visual Communications.